In part one of this series, we introduced readers to new features and improvements to SlideSource that help users find and organize their slides so that presentation creation and maintenance takes less time and requires fewer resources. 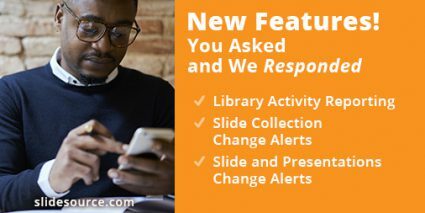 In this post we will look at another set of recently deployed features and improvements that will help users stay informed about what’s happening with the slides and presentations in their libraries. These oversight tools can be very important when working in hectic collaborative environments. A screen capture gallery at the end of this article will provide additional details and give you a chance to see these innovative slide management capabilities in action. This information is provided in a standard Excel workbook, so it can be easily shared and integrated into other documents and reports. 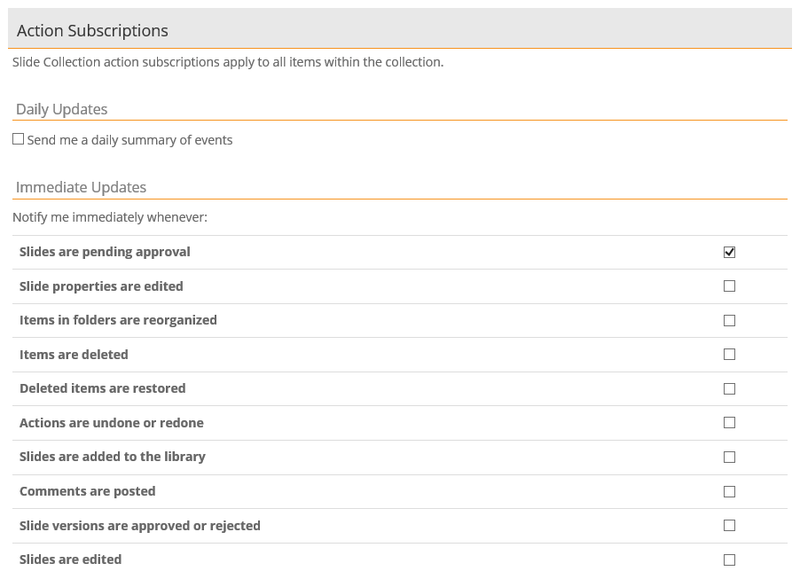 The user can subscribe to alerts for just one, or any number of these immediate alerts. 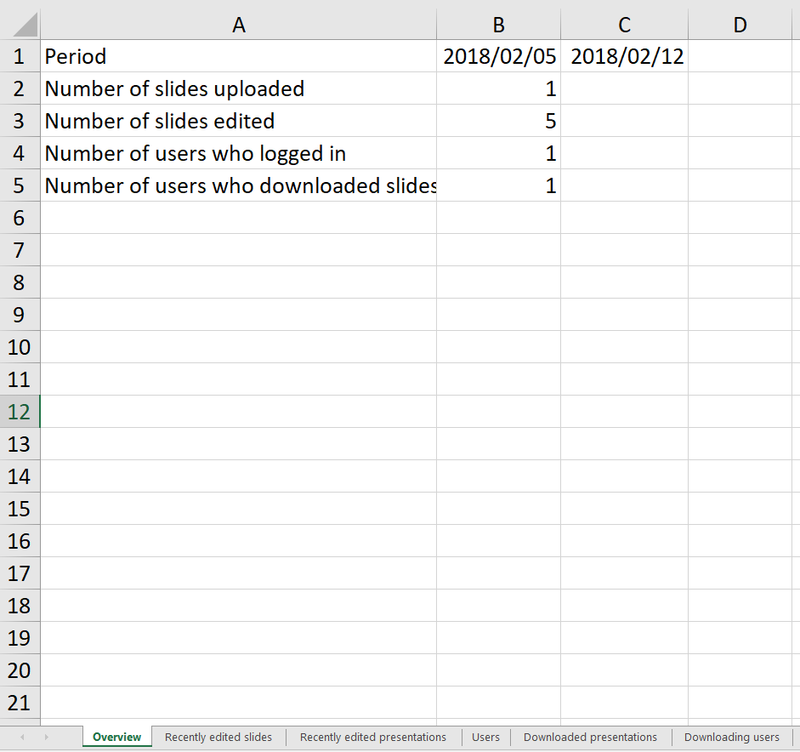 Slide and presentations action subscriptions offer the same sort of alerts except they are focused on individual slides and presentations rather than on entire slide collections. This feature is useful when there is a slide or presentation that requires a more intense level of monitoring. And as with the slide collection alerts, users can receive a daily digest of all changes as well as instant alerts for the types of changes that they specify. If you aren’t already a SlideSource user, now is a great time to sign up for a free account and give it a test drive. The free subscription has all of the features and capabilities of the paid subscription levels so you will be able to see exactly what makes SlideSource the most innovative and useful presentation management system available. Library Activity Reporting: This is the first tab of the Excel workbook created when a library activity report is requested. Each of the tabs in the workbook show addition, more detailed information. 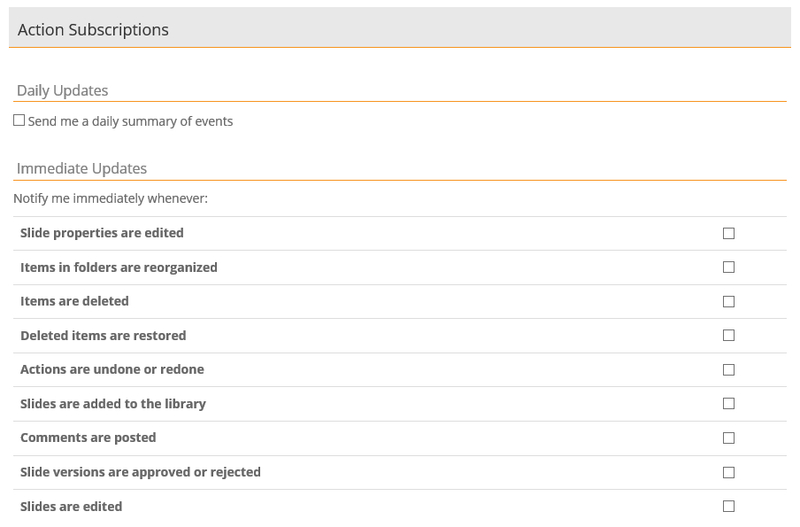 Slide Collection Change Alerts: By simply checking boxes on the this page, the user can be set up the creation of alerts. These alerts can be sent either once a day or immediately when any slide in a collection changes. Slide and Presentation Change Alerts: Alerts can also be sent either once a day or immediately when a specific slide or presentation changes. 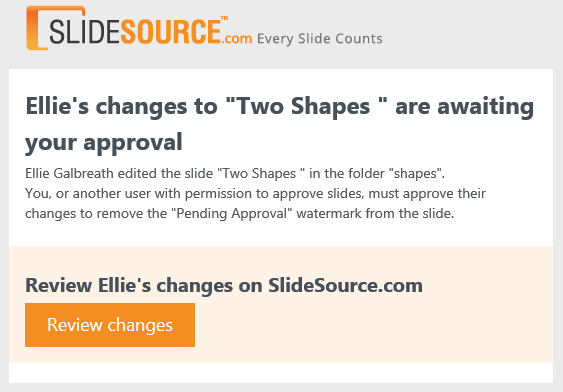 Change Alerts: An example of the email sent by SlideSource when an slide has been changed. In this case, approval is not required before the updated slide can be seen and used by others. 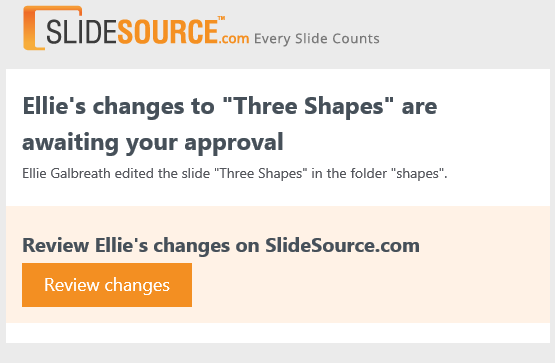 Change Alerts: An example of the email sent by SlideSource when an slide has been changed. In this case, the slide owner must approve the change before the updated slide can be seen and used by others.